Ok guys, if you haven’t already heard of Trello, be prepared to have your world totally rocked. If you have, get ready for a handful of reasons to love it even more! I’m going to explain the how to use Trello, giving an overview of the program, showing you how I use it to organize EVERYTHING in my life, and give you a chance to swipe all of my awesome free Trello boards – for free! These are the boards I’ve created and use to organize everything from our blog business to our next family vacation! Learning how to use Trello has changed my life. You ready? Let’s go! To give a quick overview, Trello is an amazing organization app that is super simple to use. It’s useful for keeping track of everything from business goals to family schedules and all the things in between. Trello is totally customizable so you can make it your own, organizing any project you’re working on into boards that help keep track of both the big picture and the small details. It’s truly a win-win solution. To read more detail about why I love Trello so much (and learn about some other pretty sweet programs), check out the post I wrote on 8 Online Organization Apps that Beat Unicorn Magic. Oh and P.S. it’s totally free! To start your free Trello boards journey, click here to get started. If you already are an avid Trello lover and want to skip all the words, you can snag all my Trello boards today. I have 26 boards that I am sharing for free! Just enter your email address below and you’ll be sent the links to swipe, update, and enjoy. Or Scroll down to the bottom and pick the specific Trello boards you are after. I mentioned boards…these are the basic framework of the Trello app. Each project or thing that I am working on have their own designated board. Within the boards, I’ve added lists and within each list cards, which function as notes. You can really go any way you want to with the formatting of your cards. Some of mine have checklists and comments, others function as reminders or labels. I love that I can share my boards with team members to help my business run more smoothly and with my family members to help things at home stay nice and organized. Since other people can only view my boards with my permission, I can keep secret lists for Christmas gifts, birthday party ideas, and surprise date nights! It really is so fun. Another feature I am obsessed with is the background imaging. There are amazing stock photos or you can upload your own, just another reason to make something pretty. Ok, now that I’ve explained why Trello just plain rocks, I’m going to show you how I really use it in my day-to-day life. At any given time, I’ve got about 20-25 boards hanging out in my Trello account…now you know I wasn’t kidding when I said I use it to organize literally EVERYTHING in my life ;) My boards are a combination of personal and professional, some shared with business partners and family members, others are just for me. Everyone’s got a bucket list right? That list of things you’d love to do given an unlimited supply of time, money, energy, guts! Maybe your list includes places you’d like to see, a fitness challenge you’ve been wanting to complete, or even something big like a business idea you’d do anything to see come to fruition. Whatever it is, my Bucket List Planning board should help you start to outline your own bucket list items. What’s on my bucket list, you ask? Check out the free Trello board I created to find out! Get them all right here. Budgeting income sure isn’t the most fun thing to do but It’s certainly a necessary part of adulting. Without a solid budget, I’d definitely blow a lot more money than I should on silly little things. Just one foot into the doors of Target and I’m seeing all the heart eyes for all of the things I don’t really need but am quickly able to convince myself that I do. And this is why I love Trello: it helps keep me on track with my budget so that I can set aside the money I need for the things that really matter…you know, like our mortgage, bills, groceries, those sorts of things…and also know how much I have left over to spend on the fun stuff! I’ve got a bunch of different lists in this board for keeping track of expenses, things we’re saving up for, any extras for the month, and also our spending goals as a family. I can go in at any time and add, edit, or change things in my cards and lists so that they accurately reflect where we currently are at for the month on our spending and saving. This is way easier, in my mind, than keeping track all on my own or simply looking at bank statements because I can add so much more detail. For anyone who runs their own business like I do, Trello is super helpful in keeping everything organized. I created this board as a home base for my business, a place where I can store important information like SOPs, current task lists, marketing plans, etc. It’s really like a catch-all for my entire sales flow and easy way for me to reference all the working parts of my business plan. If you’d like to customize my board to suit your business needs, simply edit the cards within each list to apply to your company. Add in your goals, accounting processes, team member information, and growth plan. Hope it keeps you as on track and focused as it has me! I absolutely love the holidays-each and every one unique and providing a fun reason to celebrate! You guys know I am all about celebrations. But with the holidays also comes a certain level of stress because there is always some preparing to do. Between the parties, hosting, cooking, gift giving, activities, and events, it can get a little overwhelming…and that’s where my Trello board comes in. I’ve created a bunch of lists to help you stay organized, everything from travel plans, food & drink, crafts, decor, dress code, and fresh new ideas. Take a look and enjoy all of the holiday festivities throughout the year! Things at home can get a little crazy when there’s multiple schedules to juggle, a house to keep, and so many places to be! The Home Base Planning board helps me manage the crazy and allows everyone in our family to see what the coming week will bring. It helps me keep track of our regular weekly activities like after-school practices, family date night, and the chore chart and also makes sure I don’t forget special occasions like grandparents’ birthdays or teacher appreciation week. This board really keeps me ahead of the schedule game. If you’ve been following us for a while, you know that home renovation projects have a sweet spot in my heart. I just can’t imagine not having an upcoming DIY, and truly love being about to customize our home to fit our specific wants and needs. So, in the spirit of that, I’ve created the Home Renovation Blueprint board to organize all of our current and future home projects. It’s got lists that cover everything from project inspiration to budget, materials list to stores we need to purchase from, and everything in between. I’ve also included a really neat Project Overview list that should help you create a basic outline for any project you’d like to start at home! It’ll show you step-by-step how to prioritize, plan, and execute that DIY you’ve always been wanting to complete. New projects are always exciting but typically require a little bit of planning. My free Trello boards help me get organized so I’m not overwhelmed when getting ready to tackle the next big thing. In this board I’ve included lists to help you analyze the purpose of your project, do some goal setting, create a timeline, determine the required resources + financing, and manage a task list. It really sets me up for success allows me to keep track of all the things that need to be done to ensure a successful launch. Something I do that I really love is creating content to help my fellow bloggers see success in their own branding and business. I am able to offer some tried and true advice from my 8+ years of experience doing the whole online thing, and boy is it fun! I’ve done some online courses in the past and absolutely plan on more in the future, so this one of the free Trello boards has been a really staple for me. If you also plan on launching an online course, take a peek at some of the lists I’ve created to assist with development of course ideas, course content, marketing plans, and technical details. Do you ever get partway through the day/week/month/year and realize you’re nowhere near where you want to be? It happens to me all the time! I have the greatest intention to wake up before the sun and read a chapter in my book, cook dinner 4 nights a week, have our neighbors over once a month, or make it to the gym consistently throughout the year. But, because life is so darn busy, I easily lose sight of those goals I set back at the beginning of the year. Well, thanks to this free Trello board that I’ve created with built-in reminders, my goals are completely unforgettable ;) I use it to record my big picture goals and also to remind me of the smaller weekly and monthly goals that I intend to stick to throughout the year. I also made a list just for accountability partners and have shared my goal board with them too. These trusted people in my life (think spouse, sibling, or BFF) are able to check in on my progress and encourage me to keep on keepin’ on! Ever get logged out of your social media for no apparent reason and then completely space on your password at the most inconvenient time…or is that just me? It seems like whenever I have a technology malfunction I absolutely need to log into an account to send an email, publish a blog post, or be one of the first to see a big product release! In this day and age, when social media is so relied upon not only to keep up with people near and far, but also for business success, we really can’t afford to be locked out of our accounts! I made this Trello board for the sole purpose of securely storing social media information–such as logins and passwords, keeping track of backups and syncs, and managing digital files. If you use social media for your business or lifestyle brand like I do, this board is a must. It’s such a privilege to work alongside so many talented individuals who truly make managing a team a really fun experience :) This Trello board is a compilation of leadership strategy, meeting plans, team building ideas, and more. I can easily keep track of what’s worked for our team in the past, current training material + books I’m reading to develop my leadership skills, and new ideas I have to continue to build team morale. Multi-level marketing, also known as network marketing, has become a household term. And for good reason! It’s an extremely successful and flexible way of doing business that is easily adapted to any lifestyle whether it’s full-time, part-time, from-home, etc. For those who would find this board useful, I’ve created some lists to help manage the ins and outs of a MLM business. There’s one on believing in the brand–to help you jot down reasons why you personally love it and which products you use, both of which will be immensely helpful in promoting it to other people. 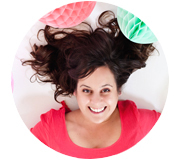 I also talk about building a team, setting goals, running promotions of all kinds, and party planning. If you take it to the next level and use social media marketing, I’ve got some notes on that type of strategy and some lifestyle marketing tips too! I love planning parties! They bring me so much joy. And birthday parties definitely fall at the top of my list. There’s just something so special about celebrating a single person and making a whole day all about them, don’t you think? I created this board to help with all of the birthday party planning things (although it could definitely be used as a guide for any sort of party planning you’re doing). There’s detailed information on hosting–things like venue, entertainment, and creating a guest list. There’s also some fun things to consider for the party theme–decorations, invitations, party favors, food & drink. Will you take pictures yourself, ask a friend, hire a photographer, or do a photobooth? There’s so many decisions to make and I love the process! Whether you’re having the party at home, renting out a space, or doing an all-inclusive location, there’s a ton of ways to make it totally your own and this free trello board will help you outline it all. Who doesn’t love taking a vacation?! And even better, a vacation with the whole family–a special occasion set aside for quality time together away from both the mundane routine + daily crazy of this thing called life! We love to visit new places and return to our favorite vacations spots, and if we plan accordingly, we can do both every year. It’s such a great feeling being able to plan out our vacation time, activities, and all the details in advance so that we can make sure work and school schedules line up, we’ve saved enough money, and that when we arrive we are prepared for all the fun to be had! I look forward to our next family vacation all year, and with free Trello boards, the planning process is less stressful and much more enjoyable. The family vacation planning board includes tools to help you set a budget, determine a destination, think about excursions, figure out transportation, book accommodations, know what to pack, and nail down travel dates. Don’t wait to take a vacation because the planning process overwhelms you…download this board and you’re one step closer to the good times ahead! You know that saying “fail to plan, plan to fail”? Well, cheesy as it is, it’s sure true for me when it comes to meal planning. If I start out the week without a clue what we’re going to eat, or go to the grocery store without any menu in mind, we come home with a lot of convenience items or things that sounded good at the moment but really don’t make up a balanced meal. Mix that with a couple laps through the drive-thru and a call to our favorite takeout spot and by Friday we’re all just ready for something fresh and homemade. I also use Trello to house our weekly meal plan…without it I’m pretty sure we’d be hitting up the drive thru much more frequently than we should. And you know I’m all about #treatyoself but the line has to be drawn somewhere, people! But, when I end the week creating a plan for the next, things turn out so much better and I’m able to whip up some healthy and yummy meals that keep everyone happy! My Weekly Meal Prep Trello board houses my grocery list, favorite recipes and also new ones I want to try, and weekly meal plan. I break it down even further and have created separate lists for breakfast, lunch, dinner, and snacks to make sure that I’ve got the whole day covered. And don’t be intimidated by this…I am definitely not creating everything from scratch here, but I am able to list out my plan for each category so my fridge and pantry are stocked all week with a variety of options. Check it out and see for yourself…I promise it’s so easy! Have you ever written a book or dreamt of doing so? We’ve written 3 so far: Materially Crafted if you’d like to check it out :) and I can honestly say it was so much fun and so much work! I created this board to help those of us who are working on our next piece of writing, to keep it all organized when the creative personality wants to do just the opposite. With lists on finding inspiration, developing a storyline, and meeting deadlines, it should get you off to a good start. I’ve also included ideas for cover art, marketing plans, picking an agency, and finding an editor. Hopefully it can be as helpful for you as it has been for me! If you’ve made it through to the end, you’re able to see that Trello is an extremely useful tool for organizing everything. 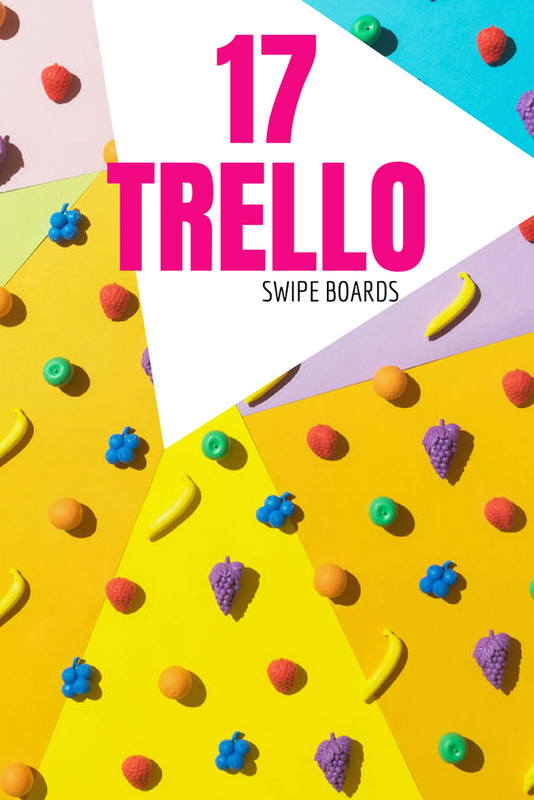 If you liked any of the free Trello boards that I’ve shown you, please sign up for download so you’re able to start using them! After testing them out, I’d love to hear how they’ve helped you get and stay organized. You helped me better understand Trello and how to use Trello. I like so much.